First thing first, WHY do they have to destroy a perfect ending of such a good series?!! Aside from potential future profit, I really can't see a real reason why they would do this. I mean it's so terrible that it's comparable to the level of disappointment I was met while watching Clannad After Story's finale. It's like they are up to toy with your emotion all series long, and after they finished performing the final act and had all of our hearts twisted and turned out of shape, only to see them taking a backstroke to invalidate them all. That's just completely maddening . As far as the story goes, the first half looked like a horror and comedy mix that plays off various urban legend where the latter half thread them together to be part of Yuuko's past that the characters trying to resolve. It's rather cleverly written how all unrelated haunts all comes to play part of Yuuko's background. If it weren't for the ending, this may be award worthy. 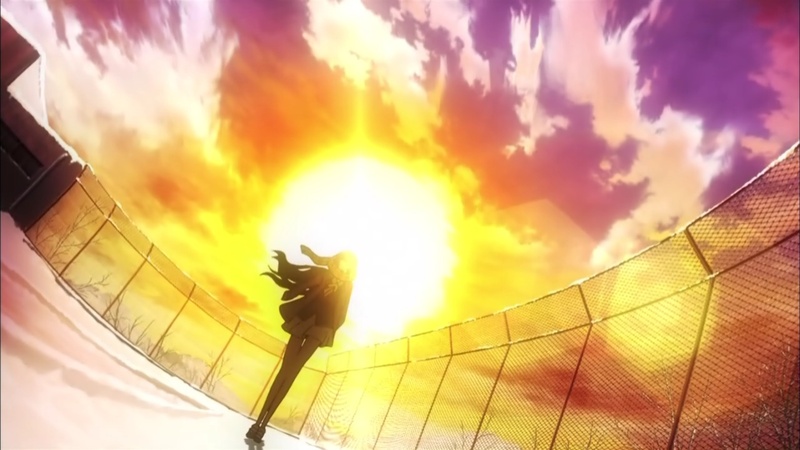 But as it is right, borrowing my friend and fellow blog contributor danchou's words, the ending just kill it for me. As art style and directing goes, I can't help but notice it has borrowed certain techniques on directing and art direction from studio SHAFT, whose style is just so vastly different than conventional anime and is rather easily identifiable. While many who tried to imitate SHAFT's style have failed in the past, MediaFactory (the studio behind Tasogare Otome x Amnesia) did rather well here. Recommendation: Generally it's a good story, but I'd say you probably want to skip the last 5 minutes of the last episode, if you don't want to just feel being played emotionally. If I'm to hand it an award, it'd probably be the most disappointing ending of the season.